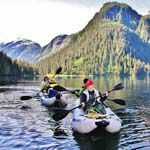 Ecotourism is a fast growing Alaska outdoor activity. Ecotourism recognizes the impacts of mankind in the environment in his outdoor activities, and seeks to minimize that while still providing sustainable activities. The International Ecotourism Society defines ecotourism as "responsible travel to natural areas that conserves the environment and improves the well-being of local people". View and photograph bears, Bald Eagles and seals in the wild amid the unique setting of AnAn Bear Observatory with Alaska Waters, an Alaska Native corporation, locally owned and operated. Toll Free:(800)347-4462. 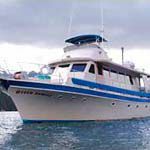 Eco-fishing tours. Trophy fishers need not apply. We offer the best deal in town.